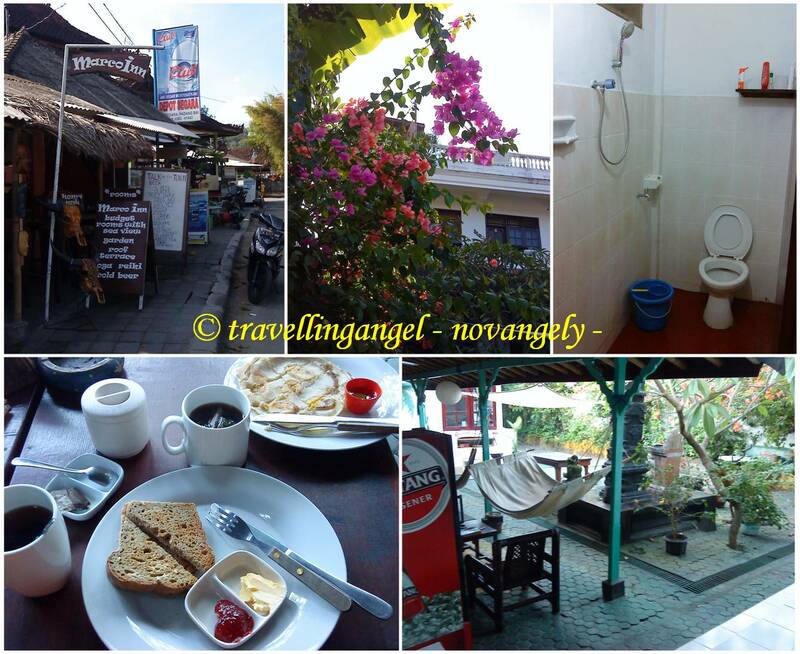 I stayed here on late June 2011, got a twin room for Rp.120,000 that time with fan and breakfast. This is a beachfront guesthouse, very near to pier. You can hear the boat whistle from the room and the sound of bird chipping and rooster in the morning, it’s like a nature alarm for me. The room itself is nice, clean. No hanger or cupboard though. I found it a little difficult to hang my wetsuit or to put my clothes or to dry my wet clothes. I tried to dry my towel and bali sarong once on a chair in their garden, but the cat slept on it LoL. funny but kind of headache to find a place to dry my clothes cause Padang Bai air was cool that time and my terrace has no sunlight access. Anyway, their breakfast was good. I like the banana pancake. There was also home made cake but unfortunately I didnt get a chance to try it. Maybe next time. The staffs are nice. I wish one day they would provide hot water cause the shower was like ice water.